The Mesa Leadership tour on Oct. 6 was to the Salt River Landfill, which is at North Gilbert Road at the Beeline Highway. Salt River Landfill is at 13602 N. Beeline Highway. What is it? “It is a comprehensive solid waste management facility that serves the cities of Mesa and Scottsdale and the town of Gilbert (temporarily) as well as the Salt River Pima-Maricopa and Fort McDowell Indian communities. All profits from the landfill enterprise are directed to the Community’s General Fund where they are used for the various services the community provides. 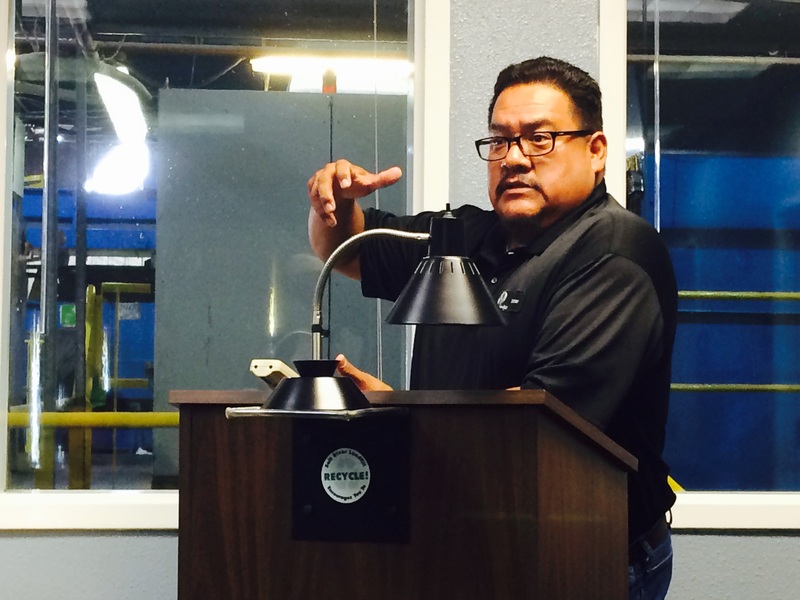 The landfill also has been a great source of employment opportunities for tribal members” (from the website). Oscar Tsingine lead the tour and answered questions. How big is it? 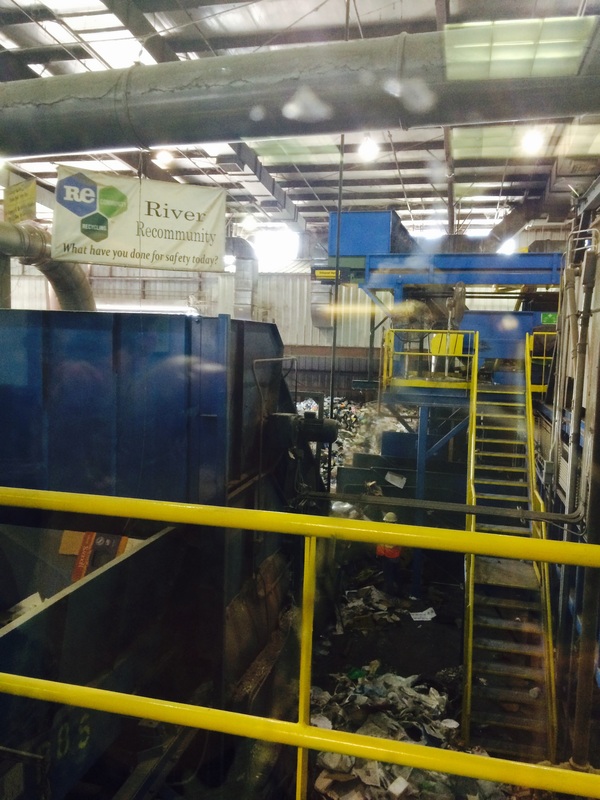 “The facility consists of 200 acres of land of which approximately 144 acres are for landfill disposal. The remaining acreage is used for the Material Recovery Facility (MRF) where recyclables are sorted and baled; the facility’s administrative, maintenance and scale house buildings; stormwater drainage and retention; and landfill gas collection and flare station. The landfill site is projected to have capacity until 2032” (from the website). Did you know? 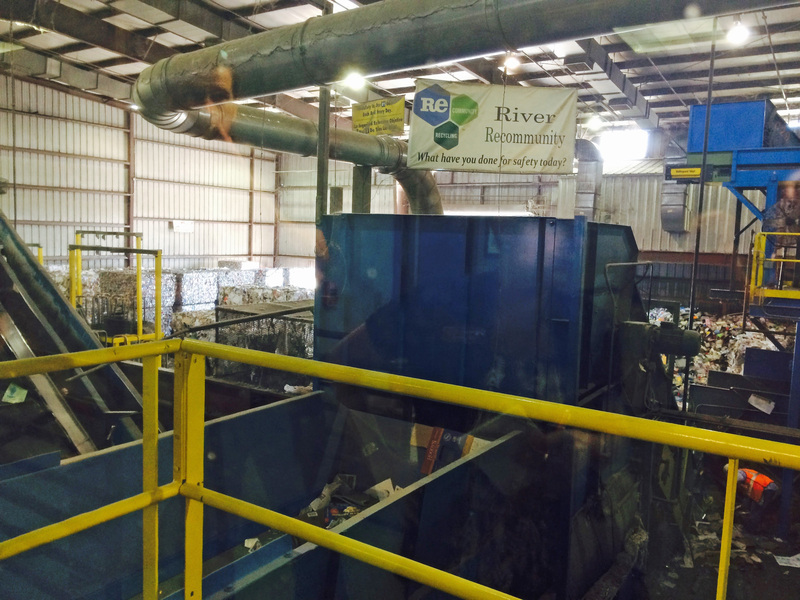 We were told that 2,300 TONS of solid waste are buried in the land every day! That’s more than 4 million pounds every single day! Takeaway: RECYCLE! 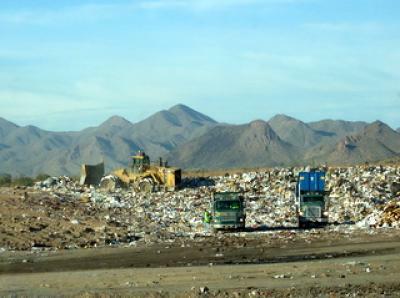 We were asked not to take photos of the landfill so this one is from the Salt River Landfill’s website. 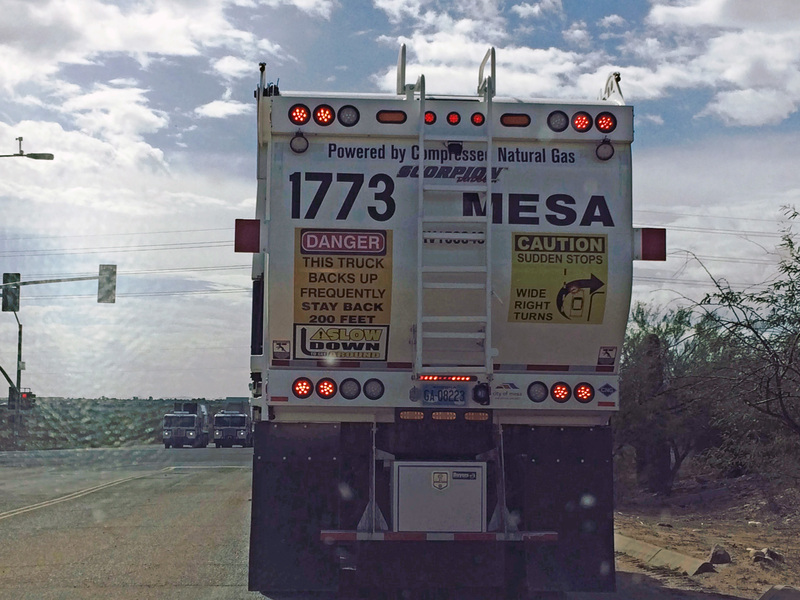 Mesa garbage trucks drive directly to the landfill to dump their loads. Green waste is made into mulch or compost. 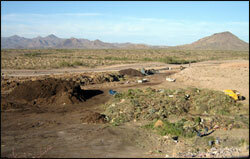 Photo from the Salt River Landfill’s website. What about “green waste”? 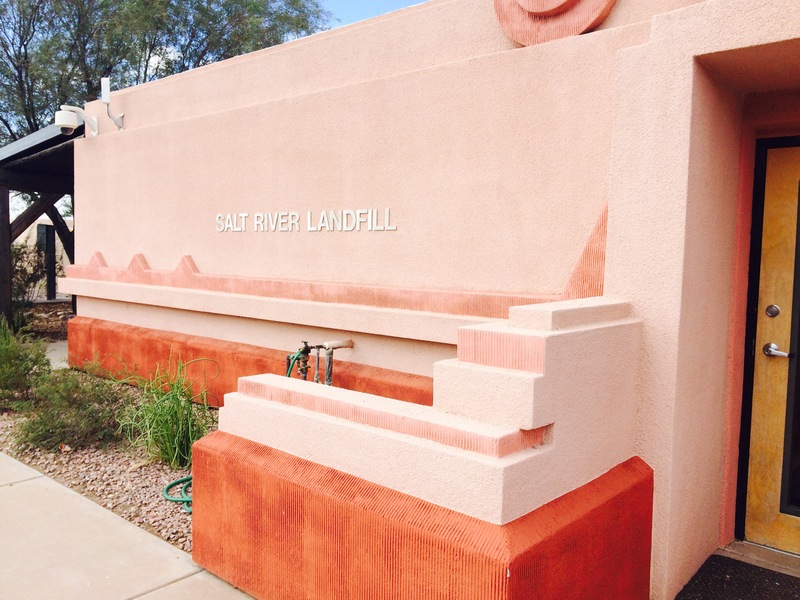 “The Salt River Landfill accepts yard or green waste which includes leaves, tree branches, untreated and unpainted lumber, grass and plant clippings. Regardless of whether your green waste is picked up curbside or you bring it to the landfill for disposal, it should NOT be bagged. Yard and green waste is recycled and made into mulch or further processed and made into compost” (from the website). 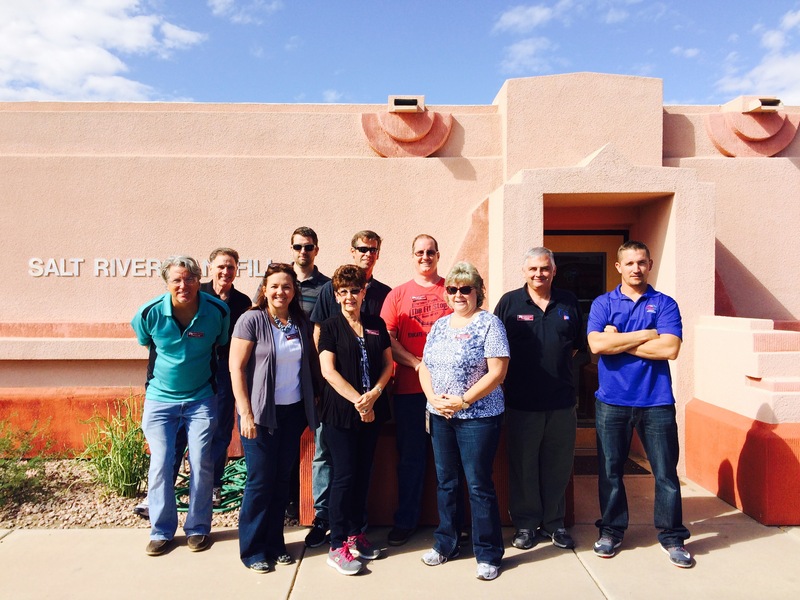 Members of the Mesa Leadership class who attended this tour.